This guidebook describes the long distance walking route between Glenapp and Skelmorlie along the 150 mile Ayrshire coastline in 11 day stages, breaking at Ardrossan when the route circumnavigates the Isle of Arran. Suitable for most reasonably fit walkers, the route visits beautiful sandy beaches and secluded coves, open moorland and rocky trails. Spring and summer are the best time to walk the route for longer daylight hours and best opportunities to spot flowers and wildlife. no technical rock climbing ability required but some sections require a little scrambling over boulders on beaches; a good level of fitness needed to tackle the route in one go and some navigational skills in poorer weather as some of the route is quite remote. great cliffs, beautiful sandy beaches and secluded coves; extraordinary buildings such as Culzean Castle, Turnberry Lighthouse, Lochranza Castle and the Kennedy Mausoleum; historically important geological sites and several places indelibly linked to Robert Burns and Robert the Bruce. The fantastic Ayrshire Coastal Path strikes its course for 94 miles from Glenapp in the south to Skelmorlie in the north. Add this to the Arran Coastal Way, which circumnavigates its way round that magical island for 60 miles, and what you have is truly magnificent long distance coastal walk. 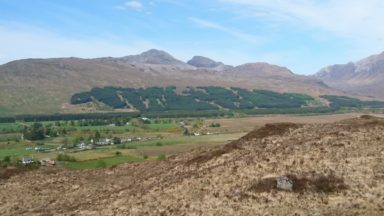 The Ayrshire and Arran Coastal paths travel over some beaches (and beautiful beaches at that) but this route also journeys across a magnificent and diverse landscape that is home to some remarkable scenery. 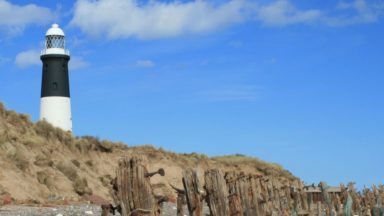 While a substantial portion of the route takes you away from the well-beaten track, it enables walkers to observe the rugged beauty of the coastline and enjoy its peace and quiet. 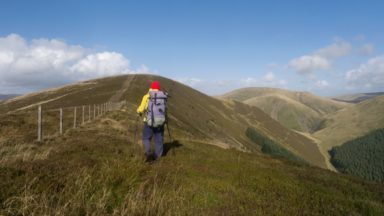 The route can be walked in 11 days by an average walker but, despite being well waymarked, a substantial portion crosses some surprisingly remote ground, open moorland and rocky terrain, so reasonable map and navigational skills are a prerequisite. The route is well served by an excellent public transport infrastructure so it can be broken down into lovely one or two-day sections. 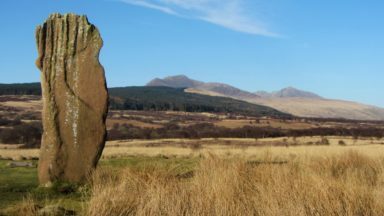 The Aryshire Coastal Path and Arran Coastal Way has primarily been written as a continuous route, although each section can be walked as a day route using the areas excellent public transport. Each day has been written to finish where accommodation, meals and provisions are easily attainable. The routes can be walked at any time of the year, but the months between April and October offer the best conditions to enjoy them. The spring, summer and autumn months also provide the best opportunities to view the wonderful plants and animals en route and allow the walks to proceed in, hopefully, reasonable weather. Four Ordnance Survey Landranger maps (1:50,000 scale) cover the Ayrshire & Arran Coastal Paths. Furthermore, six Ordnance Survey Explorer Maps (1:25,000 scale) cover the route. This new guidebook covers some of the best coastal walking in Scotland. The mainland Ayrshire Coastal Path takes the walker from Glenapp, in the south, to Skelmorlie, some 94 miles. Adding 60 miles of the Isle of Arran Coastal Path gives 154 miles of relatively easy walking in beautiful scenery. The author is a passionate walker who grew up in Glasgow and his intimate knowledge of the region is reflected in this book, with notes including the connection between Glenapp Church and the Inchcape family, the Varyag Memorial, dedicated to an old World War 1 Russian warship that sank in 1920, and Alloway village, birthplace of Robert Burns. 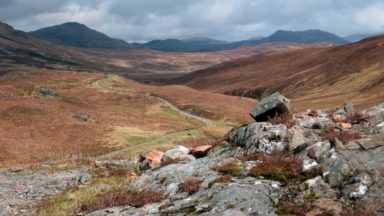 The many interesting photographs, easy to read text, and high standard OS mapping will attract the walkers to this pleasant part of Scotland. 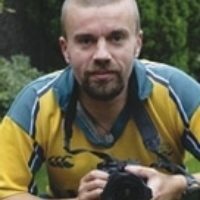 Keith Fergus is a passionate walker, writer and photographer. His writing on the outdoors, Scottish history and the Scottish language – combined with his striking imagery – has been published in a variety of national magazines, newspapers, calendars and brochures. He also has two photographic books to his name. 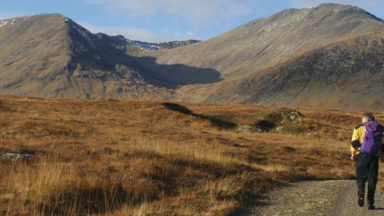 Keith has walked all over Scotland, with the mountains and coast particular favourites. Growing up in Glasgow the Ayrshire coast was the most natural (and nearest) place to visit and the best place to enjoy his passions of walking and photography; it still ranks high among his favourite destinations. Over 30 years of visiting and exploring means he has an intimate knowledge of the region, its incredible history, diverse wildlife and breathtaking scenery. Keith lives with his wife and two children on the outskirts of Glasgow. Passionate about the outdoors and the crucial role it plays – particularly in modern life – he is never happier than when wandering along a mountain ridge or across a secluded beach. He also runs his own photographic business which, under the banner of Scottish Horizons www.scottishhorizons.co.uk, produces a range of postcards, greetings cards and calendars. Keith is a member of the Outdoor Writers and Photographers Guild.